Sydney Westbrook has had enough. After a fight with her abusive ex-boyfriend leaves her in the hospital once again, she knows it’s time for a change. Just out of college, Sydney decides to accept a position as a live-in nurse. But leaving the comfort of Atlanta and the support of her small circle of friends is hard to do. And when she meets her ailing, stubborn client, Sydney second guesses all of her choices. A southern family with a social status to maintain, the McNamara’s think very little of Sydney, especially since she reminds Mrs. McNamara so much of the daughter-in-law she never accepted. But when Sydney encounters Quinn, the defiant grandson, her views of the family begin to change. And her heart begins to heal the hole left behind by the abuse. Sydney and Quinn may have little time together, but they make the most out of it. A public display of their relationship is short-lived when Sydney learns just how far her client will go to save her family’s namesake. And when Sydney’s past suddenly rips into her new world, her happiness with Quinn threatens to come to an end. But truth and friendship will help Sydney finally live the life she’s chosen while loving the one she chose. The music changed to something fast. Way too fast. The dancer in me watched the feet of the couples who obviously knew what they were doing. Two forward steps, two back, and then one, one, merengue. Okay, got it. Quinn’s hand rested comfortably against my lower back, his fingers spreading wide enough to graze the top of my behind and hit the open back of my dress. Shivers trickled over my skin despite my sharp focus on the dance floor. 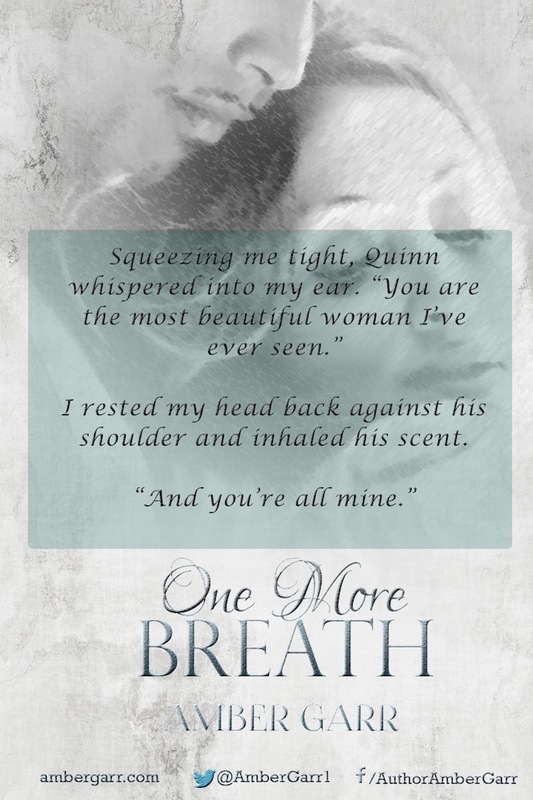 “You ready?” Quinn’s hot breath against my ear melted my insides. That was it. I was pure mush for this guy I hardly knew. Might as well enjoy it. “Are you a good dancer?” I lifted my cheek toward his lips so that he could see the side of my face. A wave of boldness ripped over my bones. I was young. Single. Quinn was gorgeous, smart, and savvy. We could have a lot of fun together. “So I’ve been told.” His lips brushed my face as he repeated the same words I’d heard in the garden. With a smile and a new-found sense of confidence, I channeled my inner-Cass and pulled Quinn onto the dance floor. I heard him laughing behind me as we weaved in and out of the gyrating bodies. In just a few strides, Quinn had wrapped both hands around my hips, guiding us to an empty spot. If I was being honest with myself, I may have pushed back against him a little more than necessary, enjoying the hardness of his abs and the slightly possessive way he held on to me. Once we found a space large enough for the two of us, I turned and wrapped my arms over his shoulders. His height required me to reach higher than I would have normally been able to, so I was extremely grateful for the high heels. “Let’s do this,” Quinn said. With a quick snap of his hands, he yanked me even closer to him and began moving his hips. I stared into his eyes, feeling lost in an ocean of teals and turquoise. The beat soared through me, my hips lining up perfectly with his as we swayed. At first, we didn’t move our feet, just enjoyed the feeling of each other’s bodies against each other. Quinn leaned forward far enough to rest his forehead against mine, neither of us taking our eyes off each other. The move was so…intimate, so personal, I couldn’t believe I hadn’t pulled away yet. Perhaps it was from the two shots of tequila and half a vodka martini. Or maybe it was because Quinn had this instant ability to make me feel safe and secure when I’d always experienced fear before. Without another warning, he pulled me around the floor, blending with the rest of the couples. I worked on my foot placement, being careful to let him lead and not step on his feet at the same time. The music pulsed around me like a veil, blocking out all of my insecurities and allowing me to get lost in the moment. In no time at all, we were laughing and smiling and rubbing against each other in a way that might even make Cass blush. Amber Garr spends her days as a scientist and nights writing about other worlds. Her childhood imaginary friend was a witch, Halloween is sacred, and she is certain she has a supernatural sense of smell. Amber is a multiple Royal Palm Literary Award winner, author of the bestselling Syrenka Series, The Leila Marx Novels, the award-winning Water Crisis Chronicles and Georgia Girls Series, as well as the Death Warden Series. When not obsessing over the unknown, she can be found dancing, reading, or enjoying a good movie.